Well, I’d like to say things are turning out marvelously but unfortunately that is not the case. I’m not sure if it’s my inexperience, rock wool issues or the nutrients just being “off”. 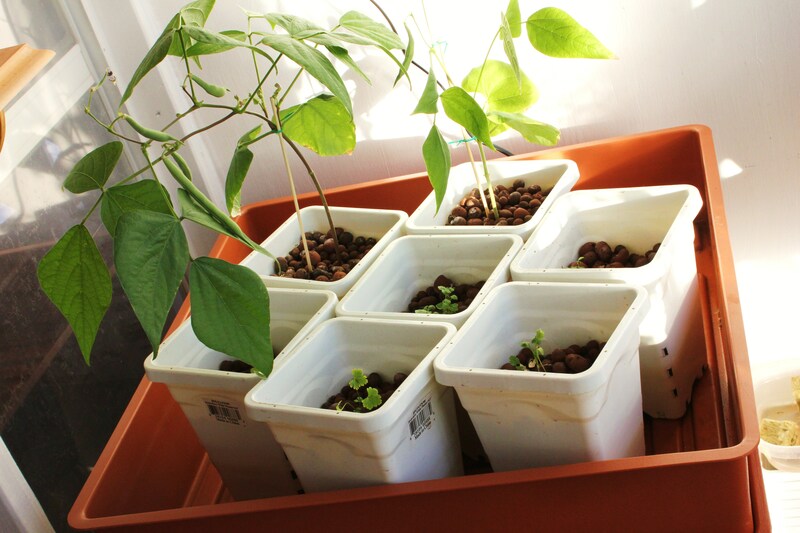 Initially, my green beans grew like gangbusters and did very well throughout the entire process. Everything else, herbs of all sorts, failed to flourish and bombed out within the first month of being placed in the hydroponic system. 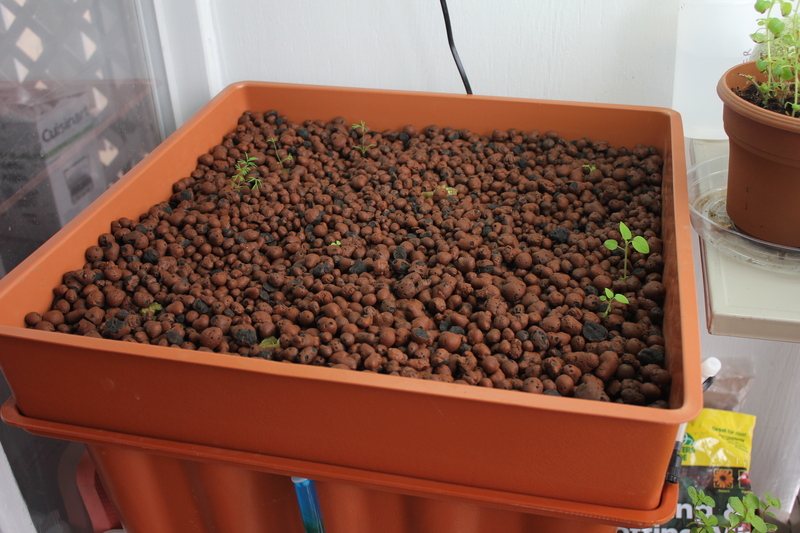 I decided to experiment further with hydroponics by ridding the system of the white planter pots. I filled the entire upper level of the system with rock that came with the package. I can tell you one thing, it is much more attractive! The one major thing affected by this change was lesser amount of water required to run the system. As long as the pump remains submerged – the system itself will essentially work the same. There is still adequate space for roots to spread out and absorb the required nutrients. Plants are positioned deeper into the water line while still maintaining sufficient drainage and moisture retention. 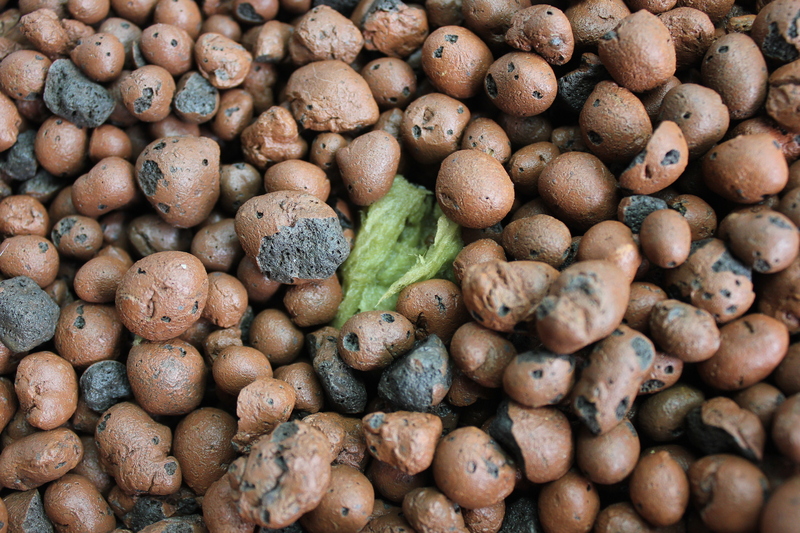 After inspecting the rock wool blocks from plants which failed to mature in Round 1, it appeared the roots weren’t able to gain any measure of impressive growth. This leaves me thinking coconut hulls might have worked better for finer, more delicately rooted plants. My second change is the largest determining factor in this stage of the experiment. I either eliminated 2/3 of the rock wool block leaving just enough substance to hold the seedling in place or discarded it all together. After finding minimal root growth using the blocks as directed it made sense that rock wool was too dense to allow plant roots to grow to their full potential. They basically had the moisture within the rock wool but they didn’t have the means to reach out and grab it. 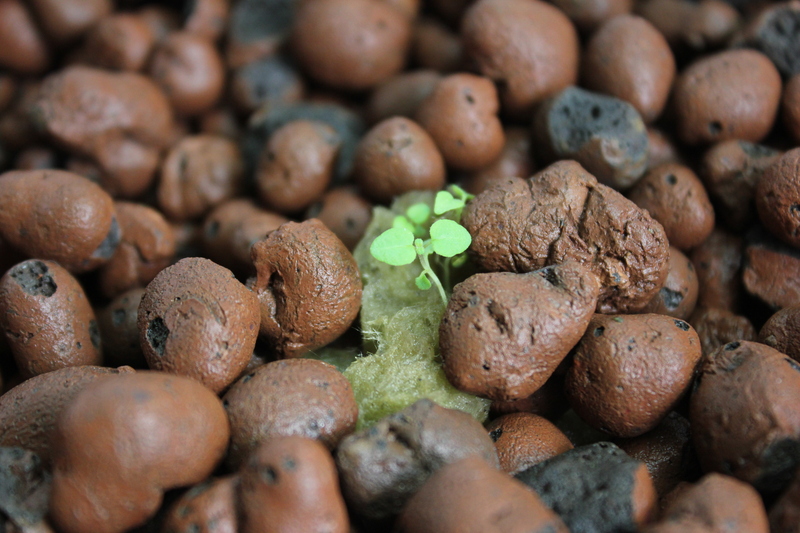 Two ground cherry seedlings were planted directly into the rock substrate – gentle care was taken to not damage the bare root structure. Two days post planting they seem to be getting along just fine. Various other herbs were started and planted with only a portion of the rock wool surrounding the roots. 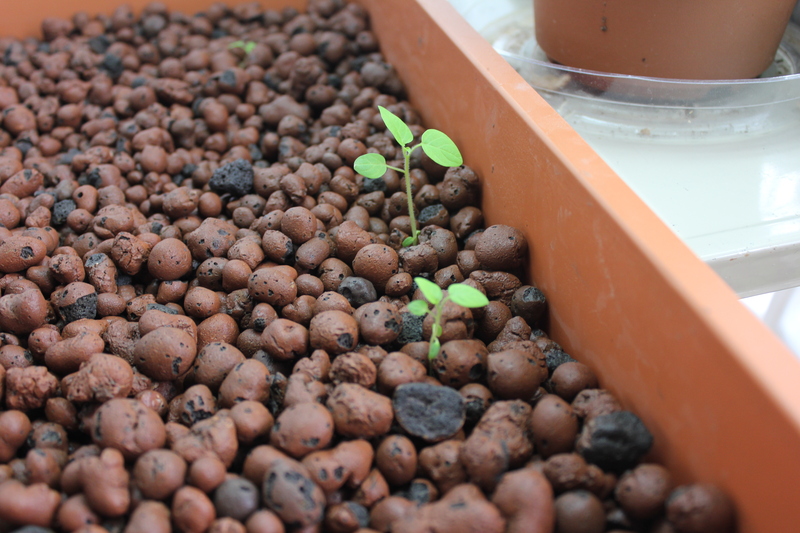 I even added non-sprouted seed in one instance to see if seed would take off without having to germinate and be started separate from the system. Now, all I need is a little time to pass to see what comes of my changes. In my opinion, it can’t do much worse than Round 1 – I’m hoping for the best. I appreciate your guts to blog your progress. I have recently started my own hydroponics system and currently have them going in styrofoam egg cartons. One is chives and the other is oregano. I initially used the paper towel method to get them to germinate. After reading your post, I feel encouraged to blog about my experiences as well. Perhaps we can learn from each other. Thanks for posting. I’m excited to see how your changes worked out.